Control your anger. It is just one letter away from ‘D’anger. Our memory is selective. For us, time is highly relative. Days, months, years tend to pass before we know it and some moments tend to linger for longer than usual. When we are one day old, the next day means 1/2 of our conscious life. When we are ten years old, the same one day means only 1/3650 of our life. That is why we tend to make more memories when we are young. We are open to experiences, which will occupy a greater space in our life and hence our memory! If we think about it, all the three parts happen within the span of two days for the rest of the world. But for Marty it takes longer. Because whatever happens to him, is relatively more important to him than the rest of the world. For him, time moves slowly! Marty fixes the time machine with the help of Doc Brown in 1955 and he is all set to go back to his present. Instead he goes to the old west after reading about Doc’s murder. I think both the characters switched places over here. Marty became the guide and Doc became the hero. The film unveils how Marty sculpts himself into a mature adult while Doc discovers the adolescent inside him as he falls in love! There are moments in the film which make you recall a few incidences from the prequels, which are thoroughly enjoyable. I am sure, for the people who watched the trilogy at the time of its release, it must have been a journey through time for them, witnessing such amazing references. The first and the third part have a lot in common, structure wise. Yet, the third part seems fresh. That is very commendable. The film ends on a very positive note. Jennifer hands over the blank paper from the future to Doc and asks him, “What does it mean?” And this is where I have my moment! I think I have no problem in believing that Marty and Jennifer lived happily ever after without any hinderances. The lines convinced me. And I enjoyed the closure! I feel overwhelmed at the end of the third film every time I watch the trilogy. 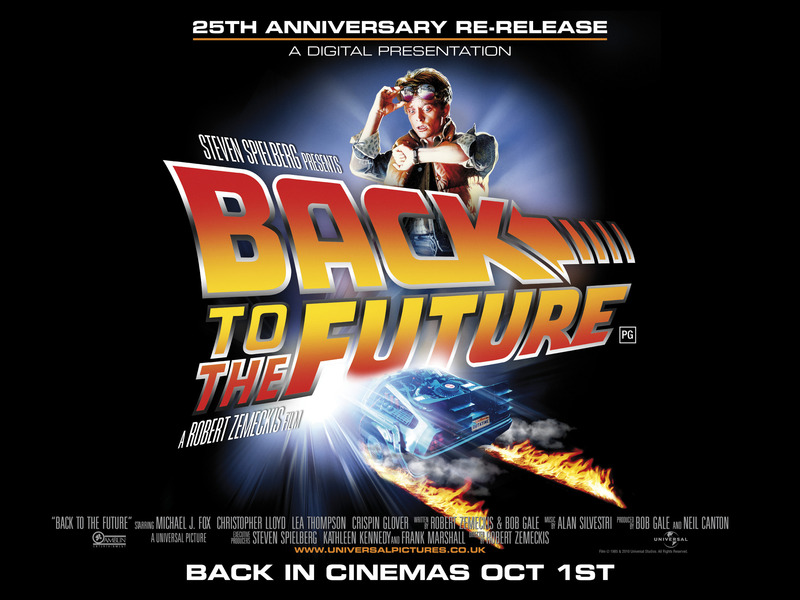 The last film was released in 1990 and in 1991 Michael J Fox was diagnosed with Parkinson’s disease. I find it poetic. I cannot imagine how hard it must have been for him. A small incident changing someone’s life, that’s what Back to the future trilogy spoke about, and that is what happened to Fox. Cinema loves poetry. The “cinemagician”, the inventor of multiple exposures, time-lapse photography, dissolves, and hand-painted color – Georges Méliès died penniless. Superman, Christopher Reeve ended up quadriplegic. And then we have Fox! But maybe these obstacles made them transcend boundaries and become a legend. Even after this incident Fox has given us many more moments to cherish. Homeward Bound, Spin City, Atlantis and Stuart Little! Doc: The encounter could create a time paradox, the result of which could cause a chain reaction that would unravel the very fabric of the space-time continuum and destroy the entire universe! Granted, that’s worst-case scenario. The destruction might in fact be very localized, limited to merely our own galaxy. Marty: Well, that’s a relief. I feel it takes time for the audience to blend into the character’s boots. Unless the audience is totally convinced, that the lead character or at least one of the main character is a reflection of themselves, it is unlikely that they will care for what they do. Jumping from intro to pitch is good in some cases. It should’ve worked in this one too, assuming that people know the first part fairly well. Over here, it was a bit too much. Had I watched this film in theaters, I feel I would’ve missed a major part of the plot as I managed to get comfortable on my seat, figuring out which hand-rest is mine. And frankly speaking I don’t have a flying DeLorean to go back in time and catch up on what I missed. The first part is a legend. It inspired so many films in the future. The makers have also confirmed that MIB III was inspired by Back To The Future (1985). The story had it’s proper climax. The hero has sorted out his life, he kisses his girl and they celebrate a new beginning. A perfect ending! Did we need a sequel over here? Content wise? I don’t think so. But we’re into making commercial cinema, aren’t we? The film lacks a good obstacle. I understand that getting back the Almanac is the major obstacle, but come on; they have the time machine, fully functioning! Plus, there are two of them right now. If one person messes it up the the other can go to the same point in time and guide him like Morpheus guides Neo in The Matrix. The film has several good references to the pop culture. My favourite being, the mockery of Spielberg’s own film Jaws. Remember, “Sharks never looked real”? It serves as a good base for the much better third part, giving a much more logical explanation for Marty being Clint Eastwood in the Old West. The film ends by showing what happens in the third part. Which suggests that the makers planned and shot both the parts simultaneously. So when we talk of the second part, we need to consider the trilogy as a whole. In that manner, the film does not have an end only the introduction to the last part! Doc: Better that I devote myself to study the other great mystery of the universe: women! The film is ranked 49th in the IMDb top 250 list. Time is such a vague yet interesting concept. Every great mind of modern times has spent time thinking about “time”. And for me, the Back to the future trilogy remains the best work in this subject. If we take the time travel part out of the picture, we have a simple premise – a troubled teenager trying to correct a few wrongs in his life. This is what intrigues me! A simple premise embellished with a compelling treatment. Every good film has this feature in common. I have watched this film so many times by now that I know the film frame by frame. Yet every time I watch it, I get excited when, in Marty’s language he discovers something, “heavy”. I love explaining the intricate details to my younger brother, just the way my dad did to me. It feels like passing on a legacy. Why is the film so special? If I am correct, every major event casts foreshadow. The plutonium used in the DeLorean is shown missing on the news in the very first scene. We get an idea that Marty (Michael J. Fox) will not have any plutonium in the car, as Doc (Christopher Lloyd) mentions carrying extra shards during time travel. It is like letting the audience think that they knew it was coming, so that when it actually happens they link it to the former events and as a result recall it. If your foreshadowing succeeds you have an active audience. Nothing works better than an active audience! The film does not really highlight this theory, but still I feel the makers must have studied it while making. The Butterfly Effect – Can the flutter of a butterfly in Brazil cause tornado in Texas? Our smallest actions, do they have strong repercussions on the Universe? Wikipedia makes it real boring. I gave a more poetic, simple version. Lastly, talking about the theme now. Ah, again! Who would not like to go back in past and see the moments when their parents actually fell for each other. I would like to see my father sweeping my mother off her feet. I would love to check how much of it is true and how much is, you know, amplified! I love the film because I can clearly see myself as the protagonist. I always have and I always will. And I am sure I am not the only one to feel so! * I could not help but enter Spielberg’s name in the title. You have all the ingredients to a good Spielberg film in this one although he did not actually direct it.